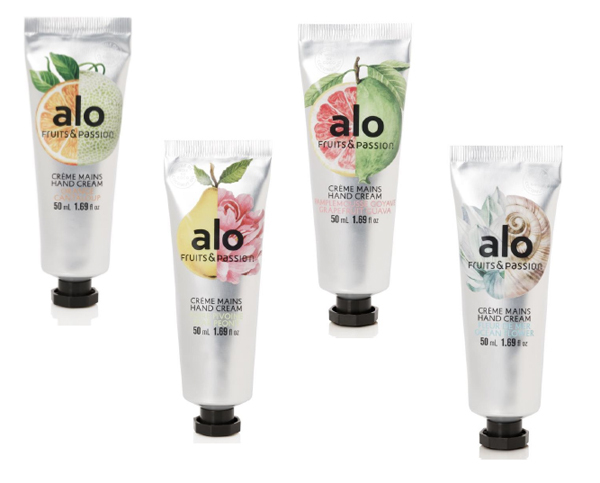 Founded in Quebec in 1992, Fruits & Passion is proudly Canadian, however, they’re excited to share their love for the island vibes of the Caribbean with their new body care collection called ALO! 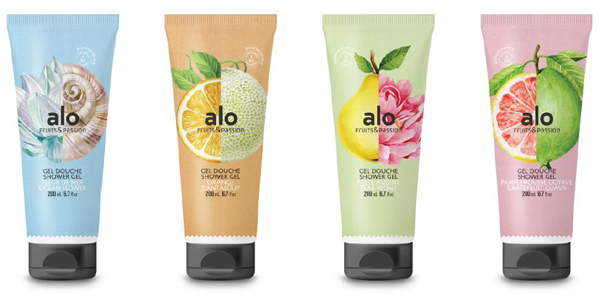 ALO (an islander’s warm way of saying “Hello”), embodies the passion and the sunshine of tropical Caribbean fruits, as well as their revitalizing essence, spirit and vitality. Fruits & Passion strives to participate in your everyday life by offering that little special something that makes a difference. Their products are formulated with carefully selected ingredients and developed with respect for the environment in an eco-conscious perspective. And of course, we love that they don’t test on animals or use ingredients derived from animals! Grapefruit Guava: The sparkling energy of grapefruit and the smooth sweetness of guava fill your day with elegance of this unique fragrance. Pear Peony: The refinement of pear and the floral touch of peony wraps your body with delicate and sophisticated scents in this fragrance of ultimate femininity. Orange Cantaloup: With the sunny orange bursts and the sweetness of cantaloupe, this playful, fresh and radiant fragrance will revitalize your body and delight your senses. 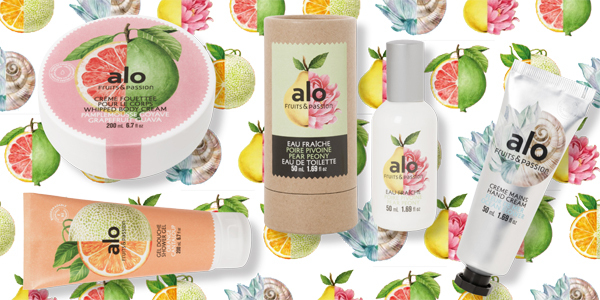 Fruits & Passion has an extensive selection in their new ALO collection including hand soaps, milky foaming bath, electric diffuser fragrances, perfumed candles, Eau Fraîche, and bath bombs! So much to love! And of course, they have you covered this gift-giving season with a beautiful holiday collection that includes Alo gift sets and stocking stuffers! Visit Fruits & Passion for more information and to order now!